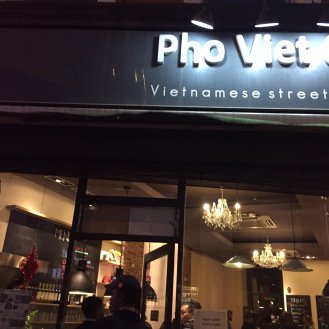 Honestly, we happened upon Pho Viet 68 by chance, the original restaurant in our plans was over-booked and the wait time for food was way too long for our hungry bellies. 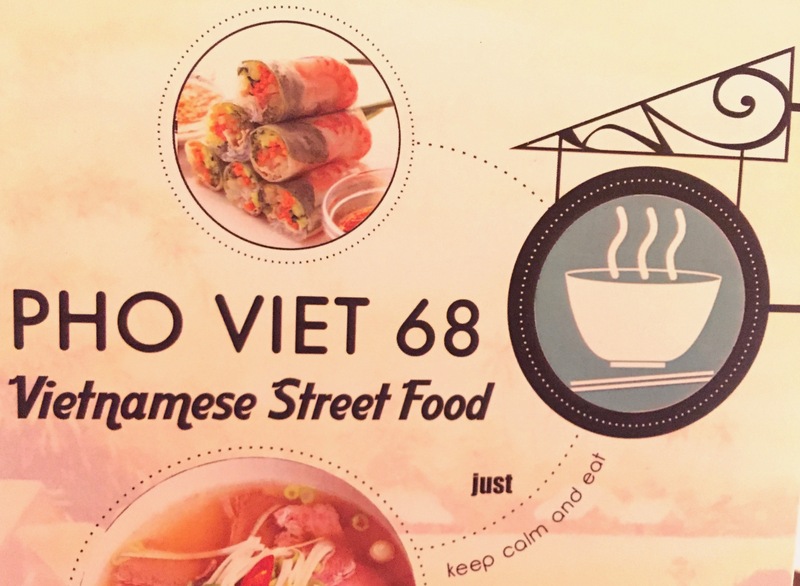 Whilst walking along Shoreditch High Street looking for somewhere decent to grab a good filling meal, we passed Pho Viet 68 and decided why not! It appeared busy inside and that’s usually a good sign, right? 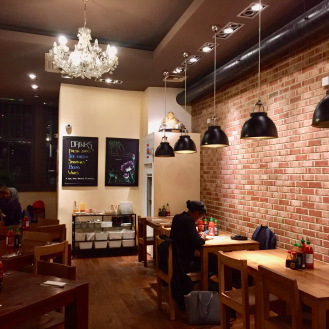 The restaurant decor is simple and basic, they clearly wanted to keep things practical with an efficient use of space. The best way to describe the vibe is “your experience is whatever you make it”. For example, if you wanted to have a laugh and relax with a large group of friends, you could, or if you wanted to concentrate and work privately in a corner, that was also possible. 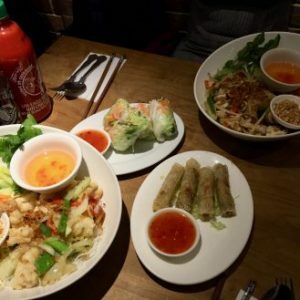 Finally, you could also have a cosy 1-2-1 meal with your partner, although the venue is quite compact so don’t be surprised if your closely sat neighbours are actively listening to your conversation as we discreetly did to entertain ourselves. 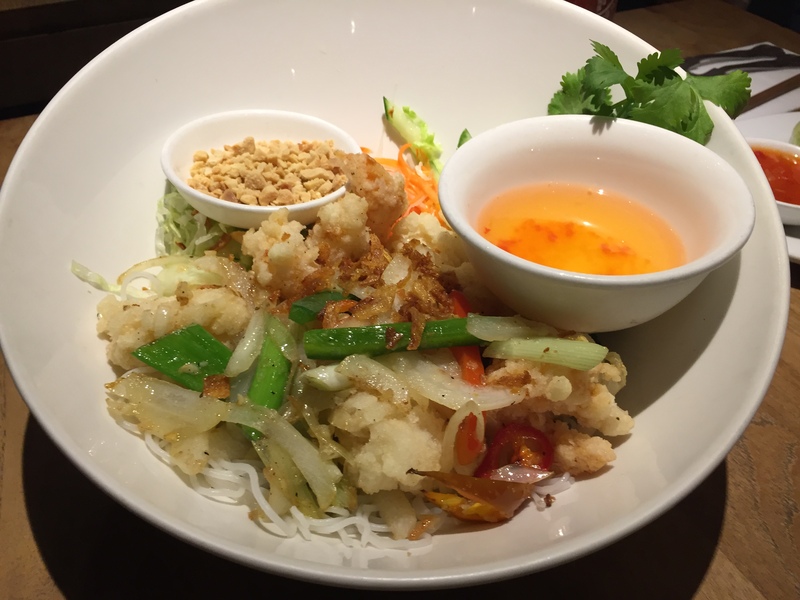 Additionally, the staff were attentive and offered more information regarding possible meal options on the menu. The starters were simply presented with different dipping sauces. 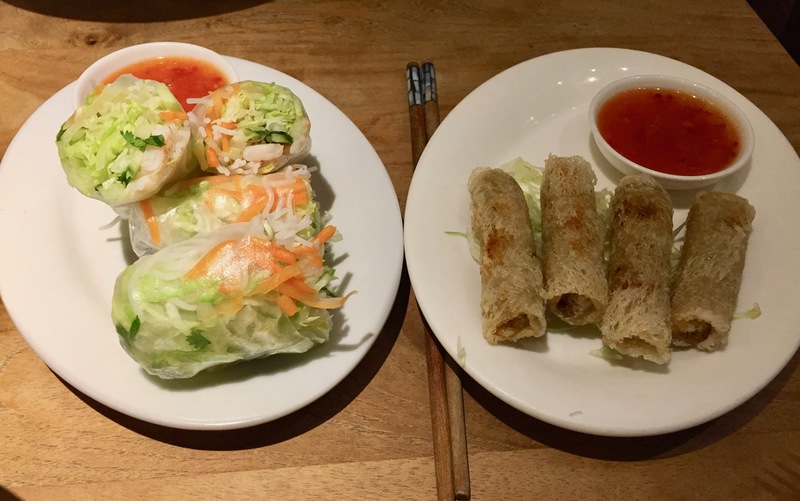 The prawn summer rolls were stuffed with fresh vegetables thick and juicy, whilst the vegetable spring rolls were slender and crispy both extremely tasty. 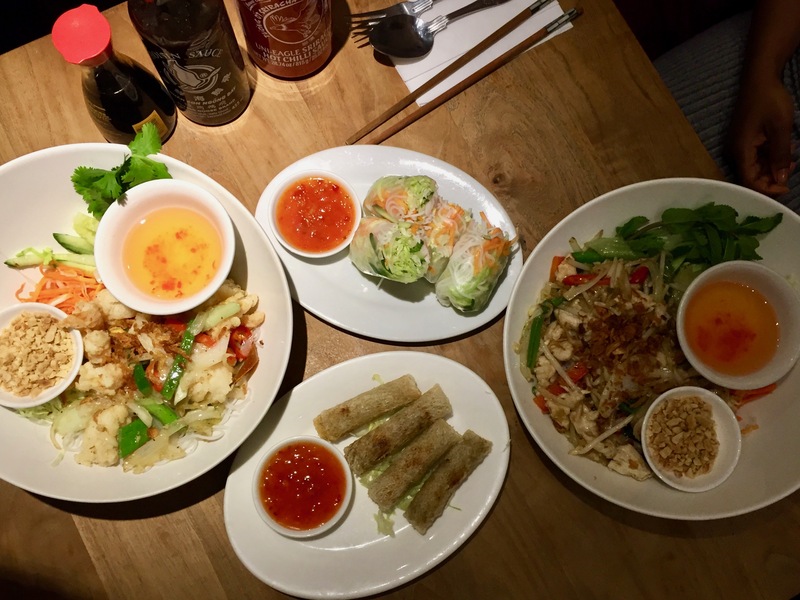 We would have liked bigger or more prawns in the summer rolls but we guess the emphasis was on more vegetables than meat. Wow, wow, wow…. The few times that I’ve had Vietnamese food I haven’t been disappointed so was very excited to see what was in store for this main. 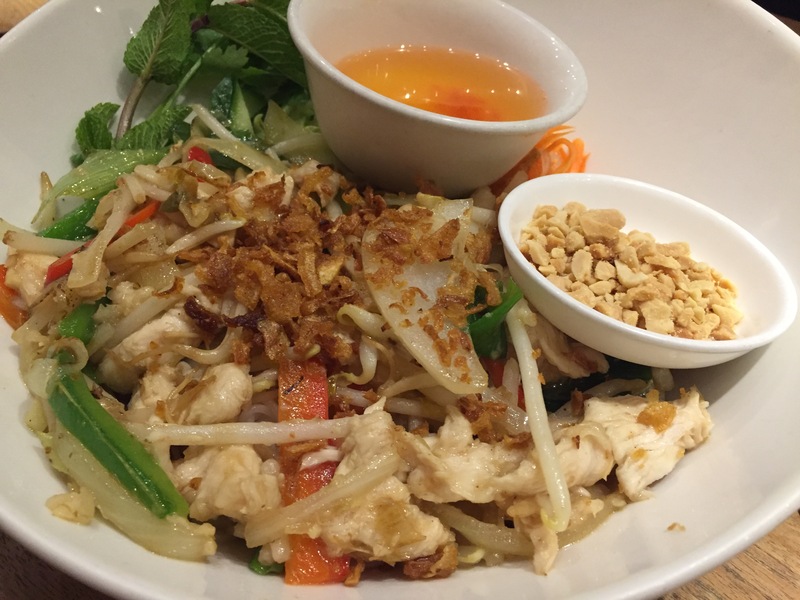 Let me tell you something…… this satisfied every inch of my hungry belly. First of all, I don’t think the picture does this dish justice, as you cannot see the layers upon layers of delicious goodness in this bowl. 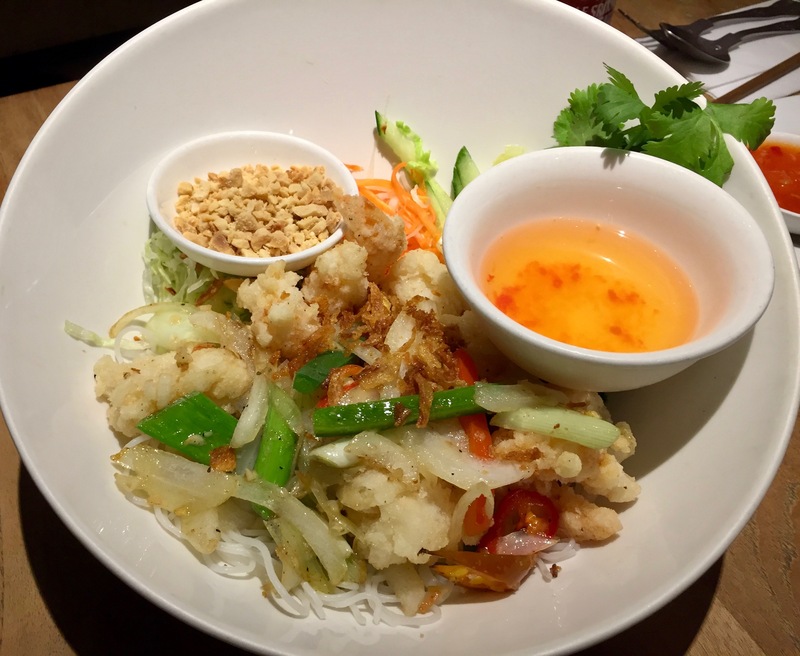 On the top we have the crispy salt and pepper squid along with king prawns, that was then on a bed of mixed salad with pickled carrots all on top of a decent portion of vermicelli. 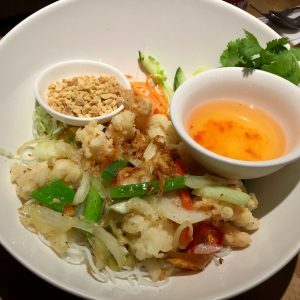 Even though the vermicelli itself was pretty plain the delicious flavour from fried calamari and prawns, coupled with the side of crushed peanuts as well as the chilli sauce bought it all together. I don’t tend to order salads at restaurants, as it just never seems filling enough but this dish I would order any day. Highly highly recommend it! In an effort to increase my vegetable intake as well as make healthier choices, I chose a chicken noodle salad. It was the picture on the menu that enticed me. Let me tell you , I am very selective about the vegetables I eat (basically only broccoli), but this looked simple enough that anything I didn’t like I could easily pick them off! Firstly let me say, they are not stingy with their potions, which is always a plus for me (It looks small in the picture but trust me its not). I like to feel that I’m getting my money’s worth and anything I don’t finish, I’ll take home for tomorrow’s lunch. 😁 Anyway, it not only looked appetising, but tasted DELICIOUS! 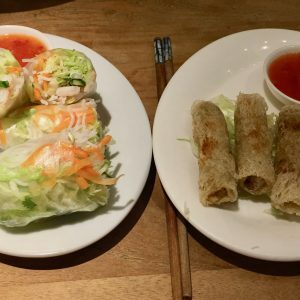 I’m always surprised when I order vegetable-based options and they actually taste really good. I always expect them to taste bland and all healthy-like (whatever that is)! However, this chicken salad was the 🔥BOMB!🔥 Even with the plain white noodles hidden under the chicken, which I smothered in the watery sweet chilli sauce (Yes, we questioned why it was watery, but actually it worked). 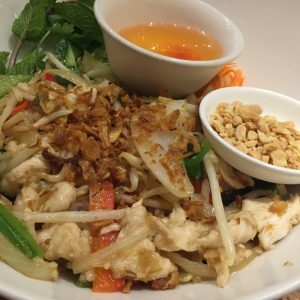 Never had anything like it, but I looooved it and for just over $10 – I’d go again! To some this may not be a very healthy option, but for my beginner journey, its more than enough…baby steps guys, baby steps. 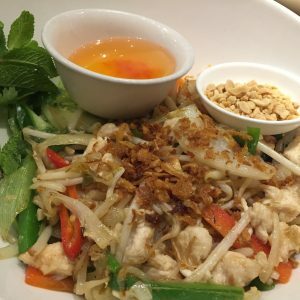 Simply put, I was very impressed with the quality of my Chicken Saigon Bun and it’s now definitely in my top list of favourite meals. 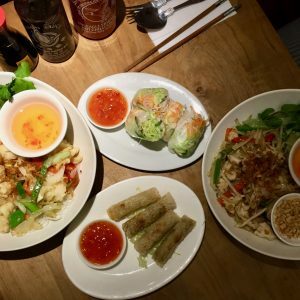 Overall the variety of tastes and different textures hitting your tastebuds from these plates will keep you smiling long after you’ve finished. 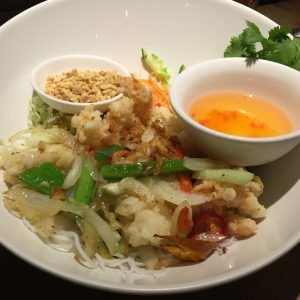 The palette of the meals are more sweet and savoury, rather than hot and spicy. 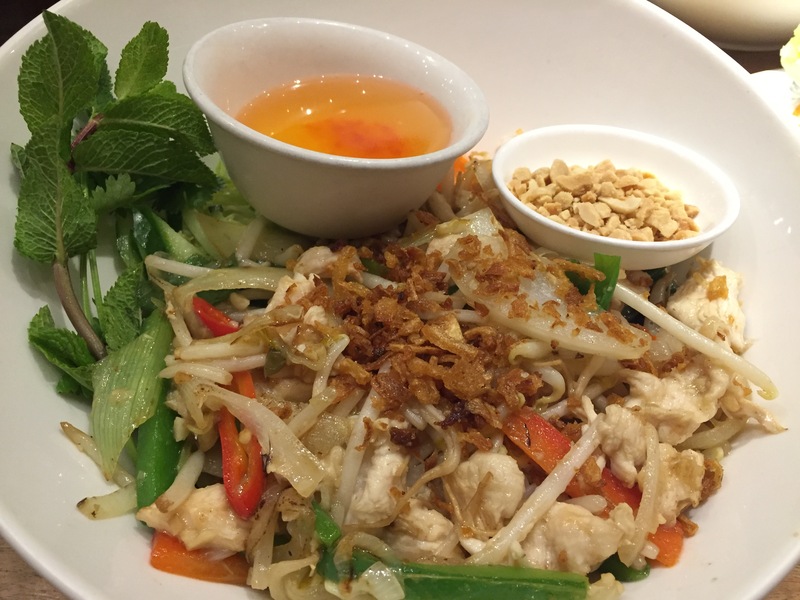 Therefore if you’re looking for spicy noodle salads, our selection probably isn’t for you. However, if you want a party in your mouth (which we are always down for!! 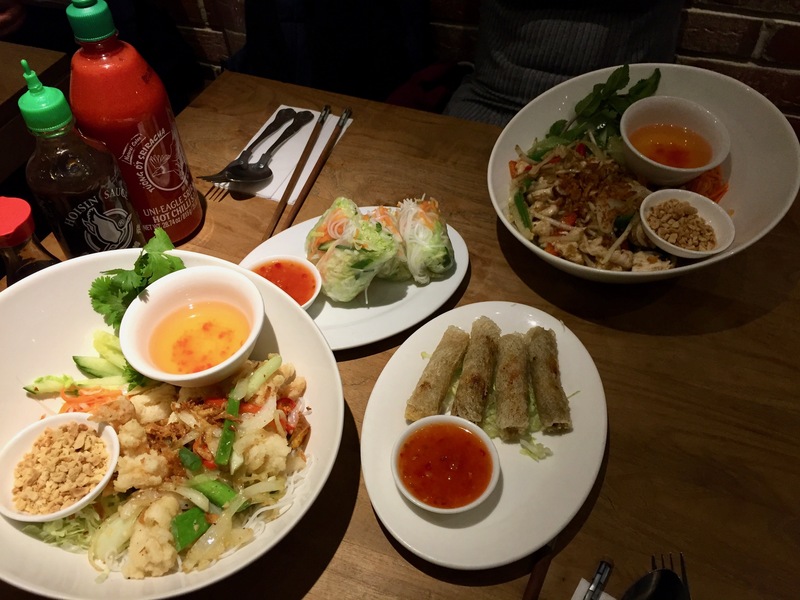 ), then head to Pho Viet 68 in Shoreditch and you surely won’t be disappointed. If you are, well… we are all entitled to our own opinions 🤣. Share your thoughts with us. Ps. This was not sponsored, we are just very passionate about food. Honest reviews are what we stand by so if we weren’t pleased, you guys will know it. 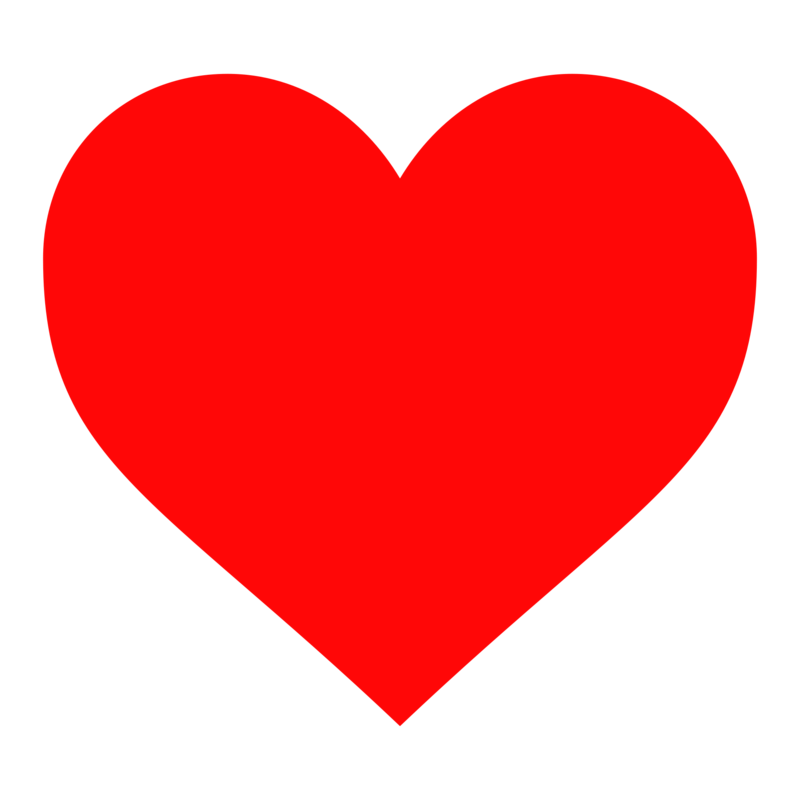 In saying that, we do strive to find the good in all things we do or experience.